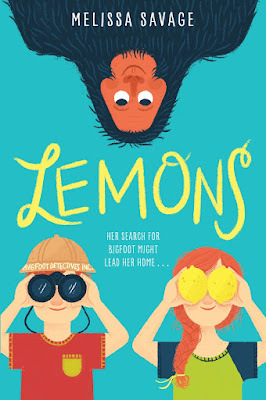 I'm honored to be part of the blog tour for LEMONS, Melissa Savage's refreshing MG debut novel. Synopsis (from the publisher): Lemonade Liberty Witt’s mama always told her: When life gives you lemons, make lemonade. But Lem can’t possibly make lemonade out of her new life in Willow Creek, California—the Bigfoot Capital of the World—where she’s forced to live with a grandfather she’s never met after her mother passes away. Summer seems to bring Lem lemons upon lemons as she deals with an entire new life without any of the comforts of her old home—and then she meets Tobin Sky. Eleven years old and the CEO of Bigfoot Detectives Inc., Tobin is the sole Bigfoot investigator for their small town. After he invites Lem to be his assistant for the summer, they set out on an epic adventure to capture the elusive beast on film. But along the way, Lem and Tobin end up discovering more than they ever could have imagined. And Lem realizes that maybe she can make lemonade out of her new life after all. Why I recommend it: The voice captivated me from Page 1. Lemonade Liberty Witt is a 10-year-old you won't soon forget. Written in first person present tense, this sometimes bittersweet, always refreshing story has an immediacy that makes you feel all the feels right alongside Lemonade. Yes, this is one of those novels where the mother has just died. But it's so well handled, and Tobin and grandfather Charlie and even minor characters like Mrs. Dickerson are so real and likable, you'll find yourself won over, even if you normally turn down novels where a parent dies. Surprisingly, there's a great deal of humor here. Perhaps that's what charmed me, that and the rollicking search for Bigfoot. No spoilers, but the adventure is worth the ride. In addition, short chapters and lots of dialogue make this a fast, easy read. Bonus: The story actually takes place in 1975, at a time when you still had to get up to turn off the TV or change the channel. I think it was a brilliant move on the author's part, because these kids have no cell phones, no computers, no distractions to keep them from going outside. Synopsis (from the publisher): Save the restaurant. Save the town. Get the girl. Make Abuela proud. 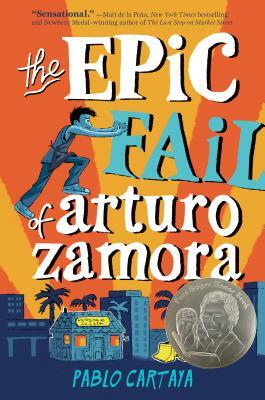 Can thirteen-year-old Arturo Zamora do it all or is he in for a BIG, EPIC FAIL? Why I recommend it: Fans of books about kids who still have both parents will appreciate this. It's a lively, heartwarming, and often humorous family story. You'll get to know Arturo's immediate family and his extended family. It's also quite timely (I had to smile as I read about the nasty real estate developer!). Sometimes change is wonderful, but sometimes keeping a tradition going is more important. Arturo is a flawed and therefore vulnerable and realistic character, who loves his family and their restaurant more than anything. But he's also 13 and developing a huge crush on Carmen, which makes for some funny and awkward moments. Sweet. Bonus: You'll learn about José Marti and his poetry and also about the sacrifices many Cuban-Americans have made to reach this country and become citizens. Synopsis (from Indiebound): Twelve-year-old Crow has lived her entire life on a tiny, isolated piece of the starkly beautiful Elizabeth Islands in Massachusetts. Abandoned and set adrift in a small boat when she was just hours old, Crow's only companions are Osh, the man who rescued and raised her, and Miss Maggie, their fierce and affectionate neighbor across the sandbar. Why I recommend it: It's rare that a novel is both a literary gem and a page-turning thriller. Lauren Wolk's first MG novel, Wolf Hollow, won a Newbery honor. 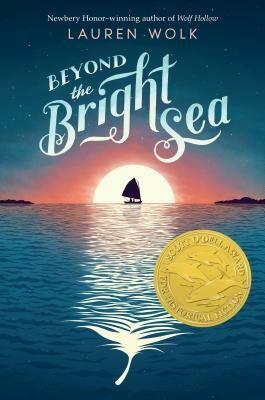 This book should win the Newbery medal itself. Of course, my batting average for Newbery predictions is not exactly perfect. But that's how strongly I feel about this gorgeously-written and deftly-plotted novel. It's also set in the 1920s, one of my favorite time periods. The metaphors made me gasp, the characters seemed like real islanders, and the mystery kept me guessing. Why was Crow set adrift when she was a newborn? No spoilers here! But as you read this, you'll ache and wonder along with Crow, who yearns to understand her origins. Though she's been raised by Osh, Crow doesn't look like him or like Miss Maggie or any of the folks in town. But that's not the only reason the townspeople avoid her. Bonus: This stunning book would be perfect for showing kids that families come in all forms. It could also convince readers who don't normally care for historical fiction that it can be just as exciting as a thriller. 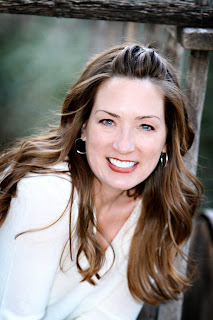 For other Marvelous Middle Grade Monday posts, see Shannon Messenger's blog.